When the Shadows are Hungry and Cold is another story in the growing mythos of Milestone. So far, those stories include "The Palaver" (not yet published), "When the Shadows are Hungry and Cold", "Currency of Souls" and "30 Miles South of Dry County." All novellas, with the exception of Currency of Souls, which is more of a Novel which grew out of another novella, "Saturday Night at Eddie's". Above is a good estimation of the chronology of the stories. It really doesn't matter much which one you read first or what order you read them in, you can pretty much come and go as you like when visiting Milestone in story form. If you lived there, you might not be given the same freedom...to come and go as you like. Milestone is alive or at least concious in a way. If you live there, it may never even make itself known, but it certain can if it decides to. In When the Shadows are Hungry and Cold it does so with the occasional car wreck, at the same location and generally credited to the driver hitting a deer, although the deers are never found and the damage tends to be more than stiking a deer would allow. The latest victim, survives the crash, but ends up muttering "take your child...follow the signs" before taking her own life in front of Officer Bryce Carrington. BTW, there is an excellent payoff for this mystery at the end of the story. Burke's decriptive narrative comes alive with lines like, "Buckwheat Prime Beer, a local brew that tasted like someone had wrung out their dirty socks into a dish of rainwater, but sure got your head spinning." Yech. I started my personal journey through Milestone with "Currency of Souls" and that includes, "The Palaver", which Kealan gave away online a few weeks back and I was lucky enough to win. Needless to say, I look forward to my visits to Milestone. I'm just happy I get to leave at the end of the day. When the Shadows are Hungry and Cold is available for FREE online at Subterranean Press and is as good a place as any to begin your own personal visits to Milestone. 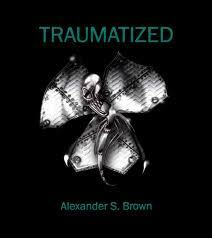 Traumatized - by Alexander S. Brown - A collection that truly lives up to it's name. Whenever someone contacts me and asks if I would read their book and provide a fair and honest review, I always worry just a bit. What if I don't like it, I'll have to give an opinion in writing anyway, it's what they signed on for. 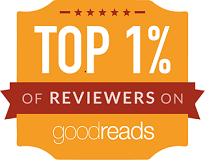 It's for that reason, I prefer to pick my own reading material, that way, if I have to give it a negative review, I don't feel so bad. Well, Alexander S. Brown, was confident enough in his work to provide me with a review copy of his horror collection, Tramatized, and I am happy to report that, not only did it not disappoint, it was by far, the best collection I've read this year. Usually, in a collection of this size, you'll find one or two stories that just don't measure up to the rest, but not the case here. Every one of the 15 tales inside the covers lives up to the title. I would so not want to be the protagonist in one of these stories, as every last one of them is traumatized to the full extent of that word. As a matter of fact, the first online definition I came accross for the word Traumatized was to "Subject to lasting shock as a result of an emotionally disturbing experience or physical injury". Yep, that pretty much sums up the stories in this brilliant collection. Ghost stories, a teenager pushed to the brink of insanity, witches, a cultish church, a paranormal investigator going it alone, and for me, the best of the bunch, "Zoe's Swan Song", the story of Zoe Michelle Byrnes, a model/singer turned actress hungry for more. I dare you not to cringe several times as you read this one. Tramatized is more than 300 pages of first-rate writing and provided hours of enjoyment for this horror enthusiast. The work is published by Xlibris Corporation and is available in hardcover, paperback and e-book formats. Traumatized is intended for mature adults only and certainly not for the easily offended. BTW, according to the author's website, it was once banned in 2009. That right there should sell a few copies. I cannot recommend this one enough. Enjoy. Gary Raisor is an American horror author best known for the novels Less Than Human, Graven Images and Sinister Purposes, as well as his extensive short fiction work. Now he's made his first foray into the world of the graphic novel. 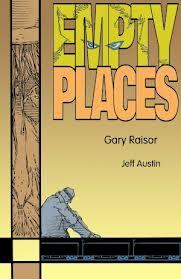 Here, he's taken his 1989 short story, Empty Places, and teamed with comic artist, Jeff Austin, with results that left me wanting more. The story is very good. The protagonist is trying to get his friend, Jake, back home to Texas and the two see something in the wheat fields of Kansas, that they were never supposed to see. The event seems mystical, dreamlike. Raisor weaves a beautiful story which leaves plenty to the imagination. One nice thing about the way the graphic novel is packaged, is that you can read the story separate, or read it as a graphic novel. If you're a Gary Raisor or Jeff Austin fan, you'll definitely want to pick this up. If you've never read Raisor, get familiar with his work. I can't for the life of me remember what I clicked on to get to this short from Joe McKinney, but from somewhere on the internet, the combination of FREE and the name Joe McKinney got me to this part cop story and part supernatural tale. Glad I found it. Officer Steve Fisher recently moved to what they call Deep Nights, the 11-7 shift, on San Antonio's West Service Area. As the new guy he thinks he's being pranked, but the truth is so much stranger. In the words of Office Fisher, "And let me tell you this, the idea that the supernatural really happens, especially when it's supported by an experience like mine, grows inside your head like weeds in your lawn." Joe McKinney is a former homicide detective with the San Antonio Police Department and the Bram Stoker award winning author of Flesh Eaters. Although Deep Nights is only a short, it's definitely a good one. Non- Review - Chance to win a copy of Inheritance by Joe McKinney (Evil Jester Press), weeks before it goes on sale! 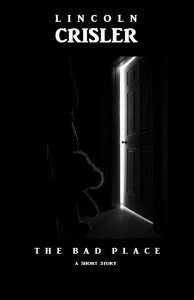 4 Lucky readers will win a copy of Inheritance by Joe McKinney (Evil Jester Press), weeks before it goes on sale! Simply share the link to Blogging the Ghost Week #2, featuring a new story by Joe McKinney and blog posts by Peter Giglio and Peter N. Dudar, between today and Monday, September 17th, and you will automatically we be entered into the drawing. 1 lucky reader will win: An ARC print copy of Inheritance by Joe McKinney, signed by Joe and sent directly to their address. This is a one-of-a-kind, personally inscribed collectable, an unproofed advance reader copy. 3 additional winners will receive ARC eBook copies of Inheritance. "An artful haunting with the gloomy quality of a Terrance Malick crime drama"
"Joe McKinney delivers. Inheritance is a brisk, wry and deliriously creepy tale of family secrets and black magic that is guaranteed to get your goat!" "Joe McKinney has proven, yet again, that he is a true literary genius. INHERITANCE is a breath-taking thrill ride masterfully crafted to grip the reader, pulling them deep into the nightmares of its characters with a level of suspense that steals the breath from your lungs. Brilliant!" AND BE SURE TO INVITE ALL YOUR FRIENDS!!!! Lincoln Crisler's body of work consists of over thirty short stories, two novellas and editorship of two anthologies, most recently the very successful Corrupts Absolutely?, an anthology of dark superhero fiction. Recenly he tossed this one into the mix. Definitely a stand-alone short story and a intriguing one at that. The Bad Place is also a very dark place, on several levels. Both Judy and Joey are being abused by their father who will punish then by putting them in The Bad Place. When Joey disappears from there, things gets very interesting. The idea of using a Time Machine to escape child abuse is quite imaginative. Of course, this being a horror story rather than Science Fiction, you just sort of know things aren't going to go well. And Crisler doesn't let us down. Only 16 pages, but an excellent read. Available at Amazon.com and if you are an Amazon Prime member you can read it for FREE as one of your monthly selections from the Kindle Lending Library. While you're shopping you might want to pick up Licoln Crisler's Corrupts Absolutely?, which I plan on reading, hopefully in the near future. 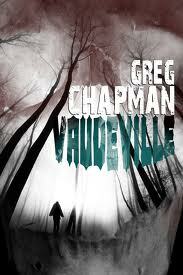 There are a number of Australian writers putting out very good stories in the horror genre. Without hesitation, I would say, one of those writers is the talented Matthew Tait. Although The Grief School is relatively short, coming in at a mere 30 pages, it's certainly not lacking in punch. For Myles Lacey, the death of his 43 year old wife did not cause the heavy grief one might expect in such a situation. In fact he felt a certain elation when he discovered her dead of a heart attack. This could have something to do with a secret he'd been keeping from her for sometime. Myles was, and still is, a compulsive gambler. Enter Jango Ravana who is willing to pay off his debt. Jango is not your typical loan shark, if you don't meet your obligation, he's not sending some goons to break your legs. He has other was of teaching you a lesson. 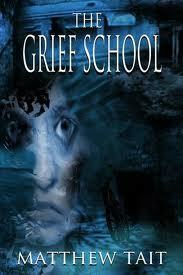 Believe me, The Grief School has plenty of terror and more than a few cringe-worthy scenes. Jango Ravana is one sick and twisted individual. Overall, this is a quick read which I found very enjoyable. If you are easily offended, you might want to go for something else, but if you enjoy squirming while you read, this one's for you. Currently available at Amazon.com where, if you're an Amazon Prime member, you can read it for free from the Kindle Lending Library. Lately, I've been reading works by a number of Australian writers. I have no idea how this happened, but I'm glad it did. Let Darkness Take Hold is another example of what I'm finding far from home. A suspense novella about a father's obsession with finding the truth about the disappearance of his sixteen year old son. He's long had his suspicions, but lacks the proof to act on them. By the time fortune smiles on him and he learns what happened, his son has been gone six years and his obsession has cost him his marriage. Now it's time to exact his revenge which comes at a costume party he wasn't invited to. The costume party is the heart of the story and Cameron has a lot of fun with it and deftly plays with the readers emotions to the point where I wanted revenge as much as the father. A bit contrived, but still an enjoyable read and currently available for free at Amazon.com. Check it out for yourself. Vaudeville is a wonderful way to spend an evening in the dark, with just enough light to see the written word. Available now from Kobo and Amazon ; with the iBookstore (Apple) available very soon. Thrall, is a small town in New Jersey. A town that Jesse Coaglan was lucky to get away from. In the author's words, "With time and distance, he thought he'd gained a good handle on what was real and what wasn't now...Like the black hole, for instance, that had opened up at the Grocer-Rite! over the dairy aisle, sucking in four shoppers, two cashiers, and a stockroom boy. Or the phenomenon of the bleeding nuns...and then there was the night that blood streamed down Main Street..."
Jesse, figured he'd never be going back there, but a phone call from an ex-girlfriend changes his mind. Jesse must return to Thrall. He needs to save Mia and her young daughter, Caitlyn, from the town he escaped from. Jesse asks his best friend, Nadia to make the trip from Ohio, to New Jersey where he finds his boyhood friend Tom keeping the monsters at bay. And indeed there are monsters. There is also a mist-like cloud, the people of the town call The Raw. It comes and goes, mostly showing up at night and those that wander into it generally don't come out, at least not in one piece. Expect the weird in Thrall. Weird, as in an entire apartment complex moving from one part of town to another. Weird, as in a number of statues that seem to pre-date the town's earliest settlers, packed away for a number of years, suddenly back on display and no one knows how they got there. Thrall is filled with memorable characters who find themselves wanting to get out of town, even if it kills them. And you know what, it just might. Thrall was originally published as a signed limited edition hardcover, but is now available for the masses as an e-book and is currently available for FREE from the Kindle Lending Library for Amazon Prime members and it's also available as a CD audiobook through AudioRealms’ horror imprint, Dark Realms.